There's only so many ways off the island of Manhattan. 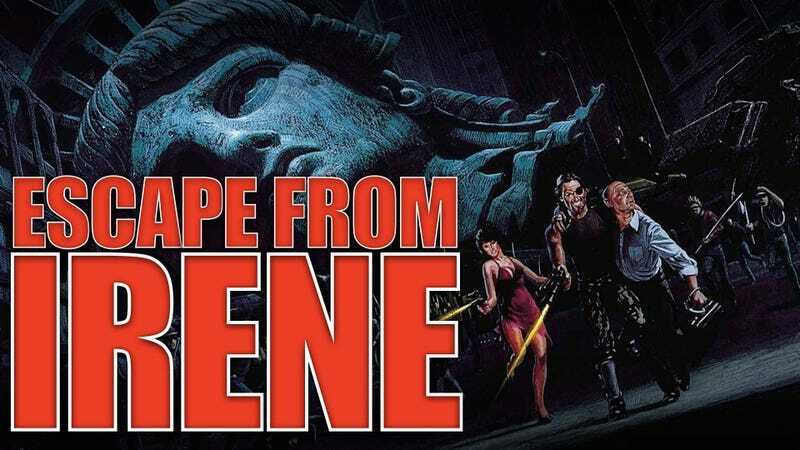 With Hurricane Irene bearing down on New York, here's seven secret (or at least semi-secret) ways to make like Snake Plissken and escape from New York to the mainland before the storm hits. Also, what to do if you don't have time to escape. Let's be clear here — no matter how many organic gardens and artisanal grilled cheese stands Brooklyn might have, it's still part of Long Island, and in the case of a hurricane, escaping in that direction really won't help you. There's only one way to go — and that's toward the safety of the mainland. That leaves only New Jersey to the West and Westchester County to the North. But with the traditional tunnels and bridges clogged with cars, buses and trucks, how can you get out tomorrow before the storm's deadly winds begin to blow through the Big Apple? Click through the gallery below to find the seven semi-secret ways out of New York ahead of tomorrow's impending disaster, as well as their likelihood of success. Below that, and because we don't actually live in a movie, find out what you should probably actually do. Once the Hurricane hits, you shouldn't be trying to escape New York City at all. Your best bet is to weather the storm by doing exactly what New York's emergency management office tells you to do. In this post-9/11 world, New York City's Hurricane disaster plan is well-thought and hopefully, well-implemented. For starters, take a look at this New York City Hurricane Evacuation Map (we've saved a copy of the PDF here because the servers for New York City's OEM office are getting hammered pretty hard right now). Determine whether you live in one of the three evacuation zones determined by elevation and proximity to drainage systems (most of lower Manhattan actually sits below sea level). Residents in Zone A face the highest risk of flooding from a hurricane's storm surge. Zone A includes all low-lying coastal areas and other areas that could experience storm surge from ANY hurricane making landfall close to New York City. Judging by the current size of Hurricane Irene and expected size on landfall in the New York area, Zone A is the most likely area to experience a mandatory evacuation. If you're still unsure of whether you're in an evacuation zone — the street labels on this map are rather small — then dial 311 (TTY: 212-504-4115). If your address falls into one of the City's hurricane evacuation zones, you may have to evacuate during a hurricane. The City strongly encourages evacuees first to seek shelter with friends or family located outside the evacuation zones. If that's impossible, then make your way — ahead of the storm — to one of the evacuation shelters located on the map. Make sure you have plenty of water — and follow what our brother site Gawker says to do here.